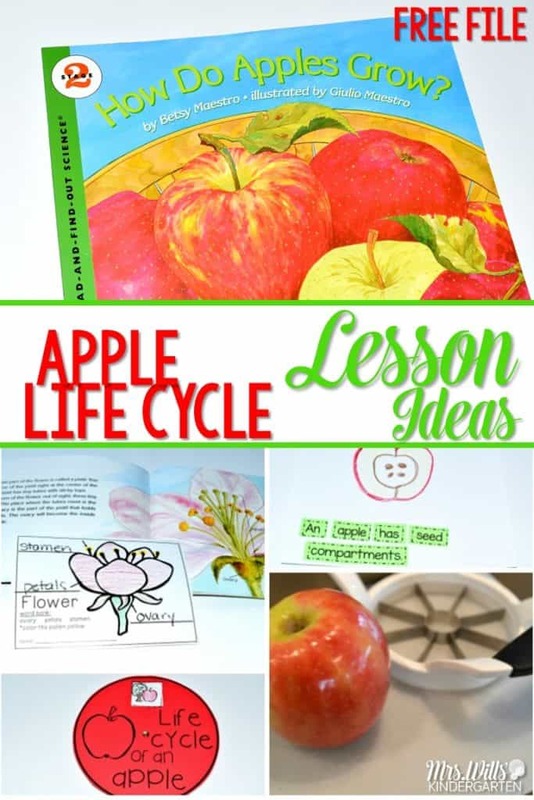 Apple Life Cycle Lesson Plan Ideas are here! Learning about apples in kindergarten is a tradition. 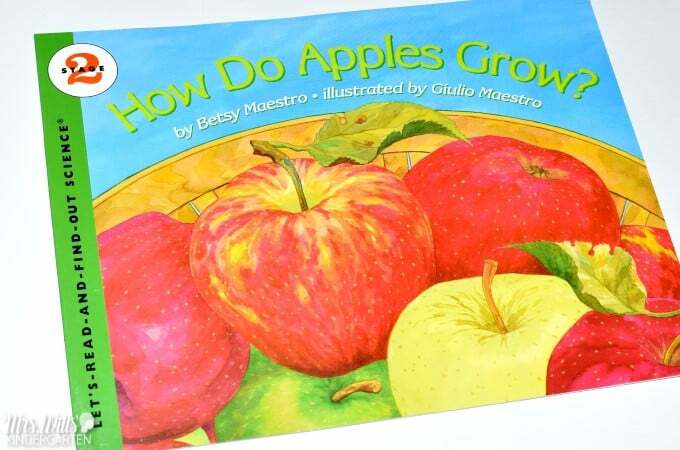 This informational book about apples is packed with apple facts. See how we integrate reading, writing, science, and math! Free File included are here! A September tradition in many kindergarten classrooms is a thorough exploration of apples! I would like to recommend this book for you to use to lead the study. 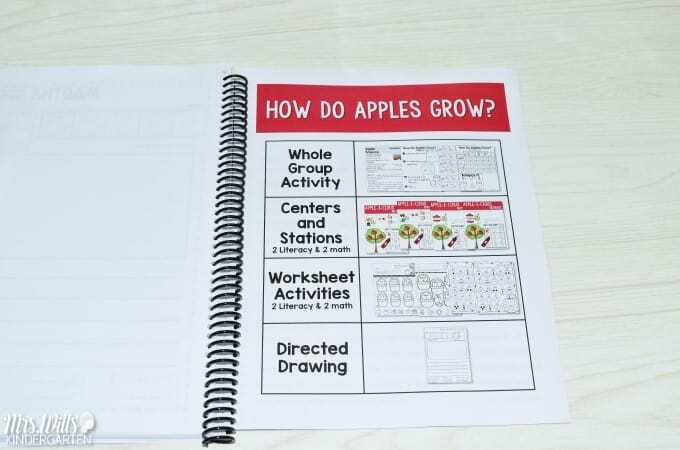 How Do Apples Grow? by Betsy Maestro is packed with information. 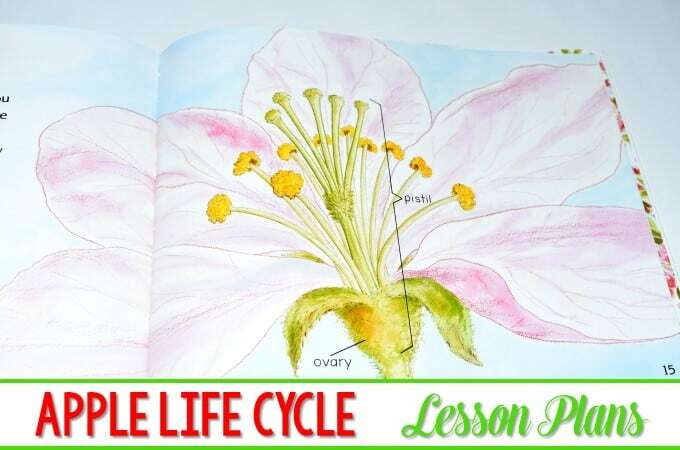 A word to the wise, there is a section on female parts and male parts of an apple blossom… so in the plant world… this book is a racy read! Oh-la-la! 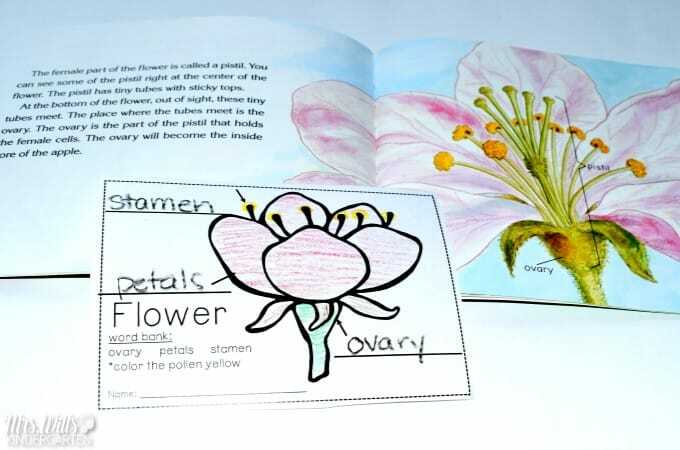 The illustrations are beautiful and we use these images to help label the parts of an apple blossom. This is a featured book in our Reading Comprehension: Guiding Readers unit. 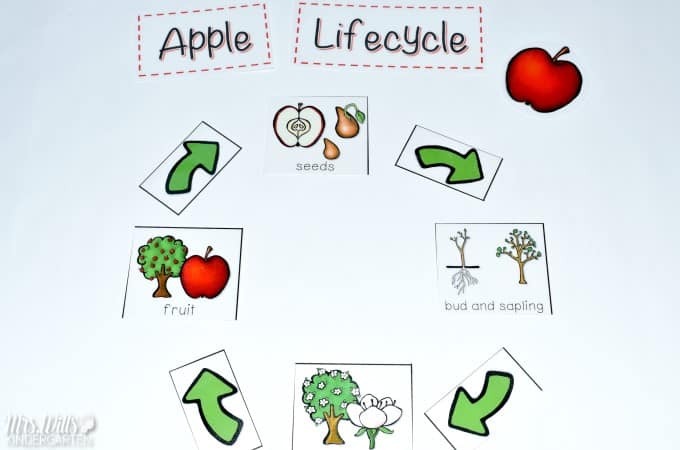 After reading the book, we work on studying the life cycle of an apple by constructing this anchor chart. 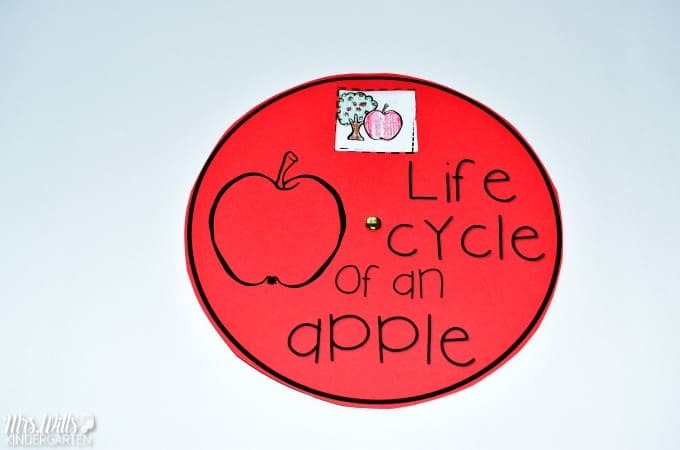 Then students create their own life cycle of an apple craft. 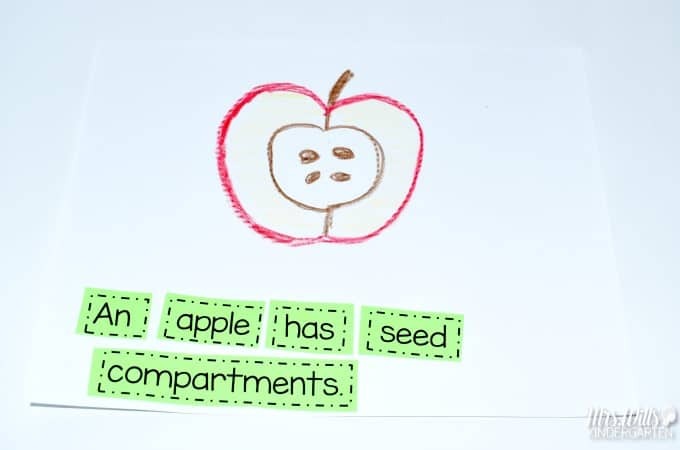 We also do some sentence work surrounding apples. Students work on construction the sentence and it is a great time to focus on concepts of print. 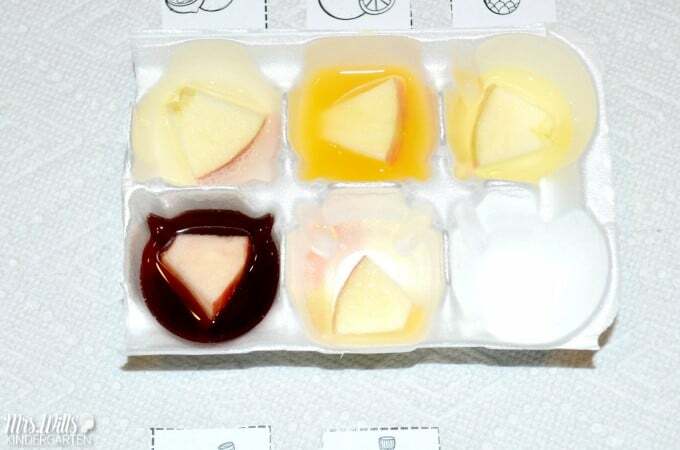 We look at the how antioxidants effect apples with a fun experiment using various liquids. You can find this activity by clicking HERE. 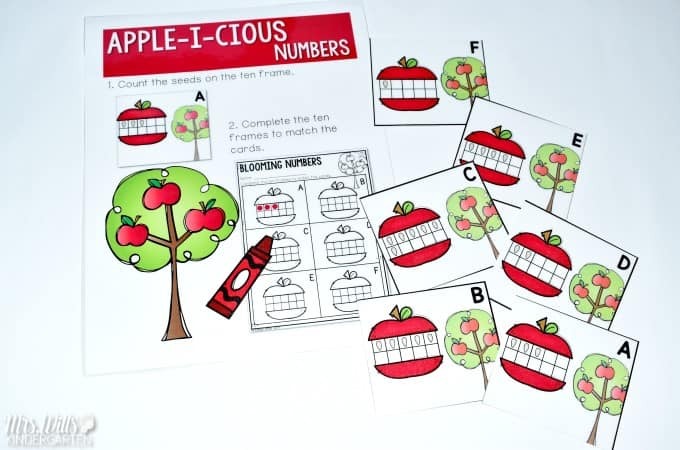 We also have some math and literacy activities that tie in nicely with this book and your apple theme. These activities are part of our Guiding Readers: Science, Math, and More units. Simply add your information to the box below and your free file will be on its way! Hi–I went to your training here in Las Vegas and I was one of the winners of the $25 gift card to your store. 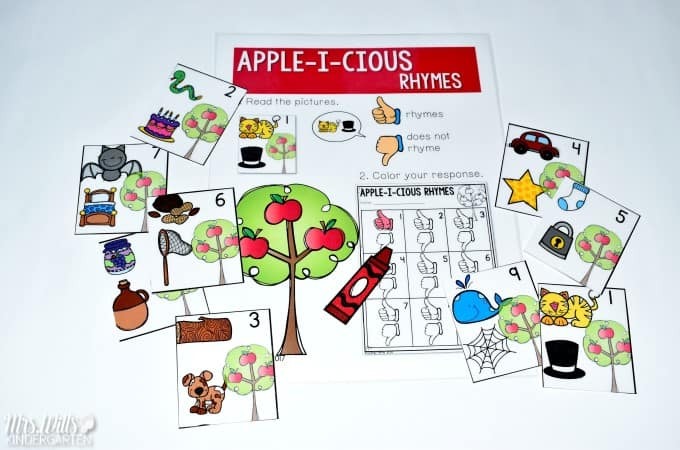 I would like to purchase the following: Sequence Game and Sorts for digraphs, Poetry 2 Interactive Notebooks, and Word Explorer Word Study for Kindergarten and First Grade. AMY!! I just saw this note! GAH! Wow! So many fun activities! Thank you for sharing!